Our standard scale molecular models: "Beevers Models". Our standard molecular models are known as "Beevers models" after their original designer, Arnold Beevers. The models are built from spheres of acrylic plastic, which are individually drilled and joined by polished stainless steel rods. The scale is 1cm = 1Å, a magnification of exactly 100 million (The scale for protein models is normally 1cm= 2Å). At this scale the resulting crystal structures, mineral models, geological models and molecular models are perfectly sized for use in small-group teaching, displays, and presentations, as they provide excellent detail but in models that are still small enough to handle. 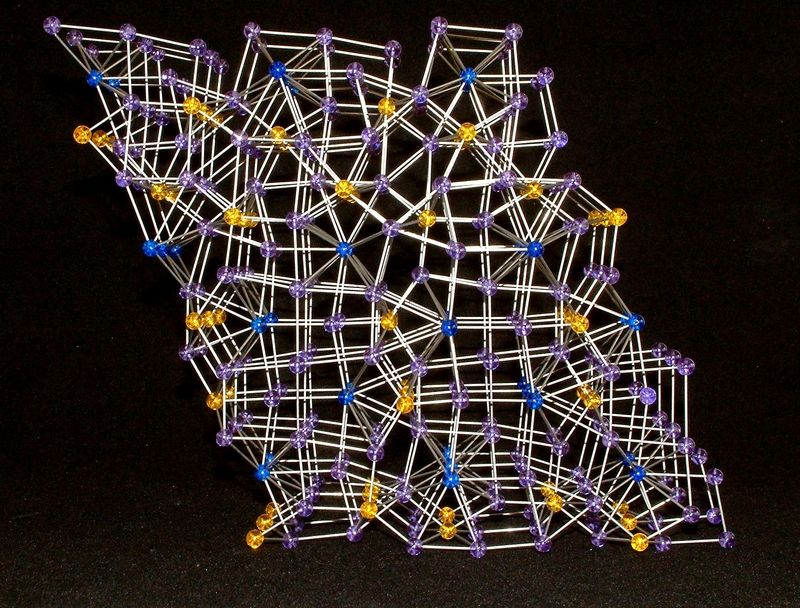 If you want a larger crystal structure, containing more atoms, the resulting model can be absolutely stunning and eye-catching, but without taking up huge amounts of space (unless you want it to!). 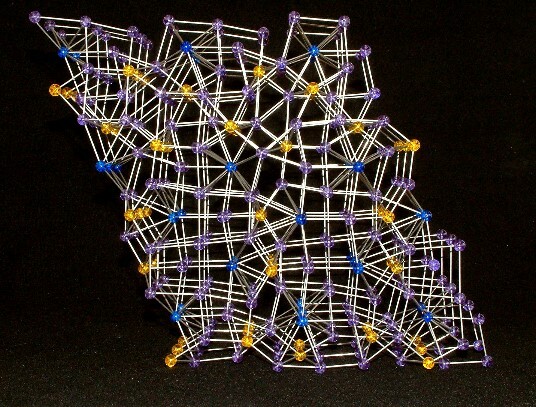 Literally any molecular structure or crystal lattice can be made in this way, with an accuracy that is impossible to recreate using standard molecular model kits. Literally any molecular structure or crystal lattice can be made in this way, with an accuracy that is impossible to recreate using standard molecular model kits. The drilling of each ball is individually calculated and processed, resulting in the most precise and accurate physical models that are routinely available. 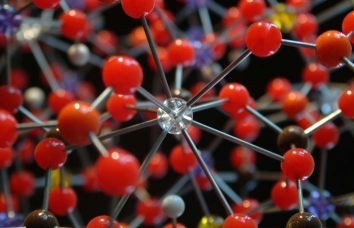 Starting with the crystallographic file for the material, the drilling of each ball is individually calculated and processed, resulting in the most precise and accurate physical models that are routinely available. At the present time, we have designs for around 2000 models of all types, from mineral structures, through inorganic and organic materials and into mathematical and crystallographic models. be aware that we are able to make any crystal structure or molecule, providing either we or you have access to an appropriate crystallographic file. Please browse through our catalogue, or use our search facility to quickly locate the compounds that interest you. We make all our models to order - so, whatever you purchase is rarely taken from a stock shelf, and we are always free to construct the model exactly as you want it made. That means that we can take a structure from a cif, xyz, or pdb file and design that exact structure, with as many unit cells represented as you want. If you cannot see the material that you want listed in there, or if you want any additional features in your model, please contact us - we pride ourselves on not only giving the customer what they want, but offering them things that they never realised that they could have.